FINALLY: Quick, Easy & Cheap way to pay suppliers in China! I have some really good news to share with you—some REALLY good news! I have been waiting for this moment for years now and it has FINALLY become a reality. Transferwise is now supporting USD payments to China! BINGO! This means we no longer have to overpay our banks for sending USD to our suppliers in China, and don’t have to use shady online currency exchange places, etc. It’s all gone, forever! We can now make simple, quick and cheap international USD payments to Chinese suppliers (and many other countries), and all for a very low fee with guaranteed currency exchange market rates! Combining these two, you can actually lose 5% (or more!) on a GBP to USD conversion and transfer to China, which is SHOCKING! Obviously, the more money you send, the lower the percentage because the transfer fee per £1 decreases as the sum increases. Still, why pay even 3% to a bank when you can put that money in your pocket? Exactly! As small business owners, we are always looking ways to save money and efficiently cut costs, and bank fees and transfers are an area where you can cut costs with absolutely no impact on your product quality or customer service. You should never be overpaying on fees and you should always seek out the cheapest, most efficient cost-saving processes for services that don’t affect your customers. Anyways, I’m sure you can sense how excited I am about this—because I am! I have been waiting for this for years and now it’s reality. And yes, I know that there are some other online companies that have been offering this service already, but I’m so happy that it is possible to do it via Transferwise now because that’s where I have my accounts and that’s the company I trust 100%. So, let’s take a closer look at how the whole process works. 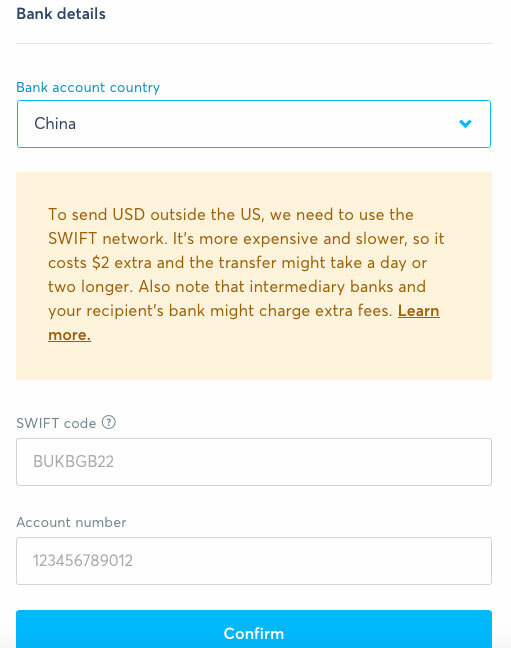 How to send USD Payments to Chinese Suppliers using a Transferwise Borderless Account! So, the first thing you will need is a Transferwise Borderless Business account. The account itself is free and very easy to set up. Just make sure you’re using your REAL details when creating your account as you will have to verify your identity. 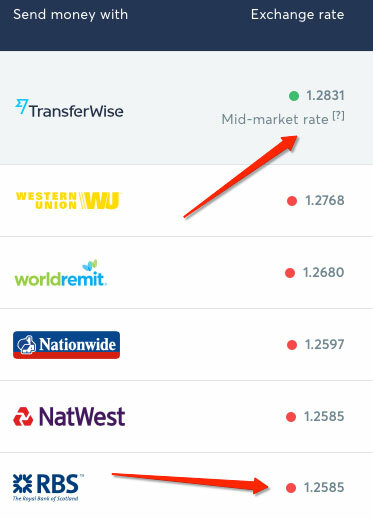 Transferwise works under FCA regulations, so this is not the place to joke around! Just use your real details and don’t try to do anything shady. By that, I mean you should also inform your accountant (if you have one) that you have opened this new account so that it is properly recorded on your books. 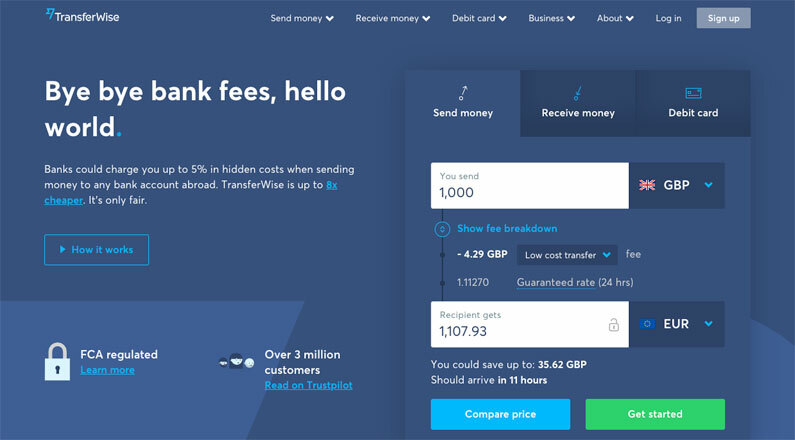 What’s also interesting is that Transferwise shows exactly how much you save with this process compared to some high street banks. It may not be that much ($30-$40 or so) on a $1000 payment, but it is still more than 3% of the transaction value! 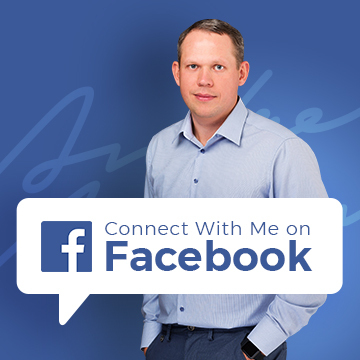 If you try some bigger numbers, like £10k or £20k, you will see that the difference is HUGE! Hundreds of pounds instantly saved! The transfer fee is usually fixed at around the £20 mark (with banks), but the biggest difference comes from the exchange rate. This is because Transferwise is NOT using a fixed transfer fee structure here. The transfer fee depends on the amount of money you send, which actually makes a lot of sense, right? Why should we pay the exact same £20 fee on a £1000 transfer and a £20k transfer? It should correlate with the amount we send, and that’s exactly what Transferwise does. The fee is roughly £4 per every £1000 pounds (which is just 0.04%), and you can easily see the exact rates by changing the numbers in the “You Send” block. 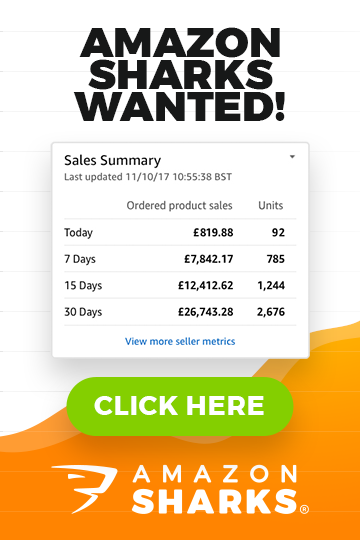 For new Amazon sellers, this is a much better price structure as you will usually start out with small importing deals worth just a few thousand pounds, sometimes even less. You will pay less in transfer fees compared to high street banks, not to mention the additional savings you make on the currency exchange rate. Once you have entered the correct amount that the end recipient should get, click on the “Continue” button and, on the next screen, select who will receive the money. With most Amazon (and eBay) sellers, you will be sending money to the company’s bank account in China, so you should select the last option: Business or Charity. IMPORTANT!!! I have repeated this many, many times on my blog, but will do it one more time: NEVER send money to personal bank accounts in China, no matter what your supplier says! Usually, they will come up with an excuse that there’s a problem with the company’s bank account and that they have to temporarily use the boss’s personal account, etc. Don’t believe any of that for a second—just don’t do it! There’s a VERY high chance that they’re playing you. It’s highly likely that the employees of the company you’re dealing with are trying to scam you, or the supplier itself is all scam altogether. So, please, only send money to COMPANY bank accounts, and the name of the bank account should match the name of the company you’re dealing with (unless they’re using a middleman/trading company for the deal). You will also get a message that there’s an additional fixed fee of $2 applied to all USD payments going to locations outside the US; this is because Transferwise has to use the SWIFT system for these payments. They also note that the recipient (your supplier) “may” also face additional charges at their end, but you really don’t have to worry about this. If your suppliers have given you their bank details, they know how international bank transfers work and they will already be aware of any additional fees that their bank might charge for these transfers. On the last step, you simply need to fund the transaction by adding money to your Transferwise account to cover this international payment to your supplier in China. If you’re selling on Amazon already, I strongly recommend that you replace your current bank account with the Transferwise account details on the Amazon platform. This way, Amazon pays you directly into your Transferwise account and you won’t have to move money around as you will always have funds already in your Transferwise account to pay your suppliers in China. The local bank transfer is FREE to use, so I recommend you go with that. Alternatively, you could use your card, but there will always be a fee involved for using card transactions like these. Once you have selected your payment method, click on the “Continue to Payment” button. On the last step, you’re basically getting the details for the bank transfer or, in the case of cards, entering your card details so that Transferwise can charge your card and fund this transaction. And that’s it! 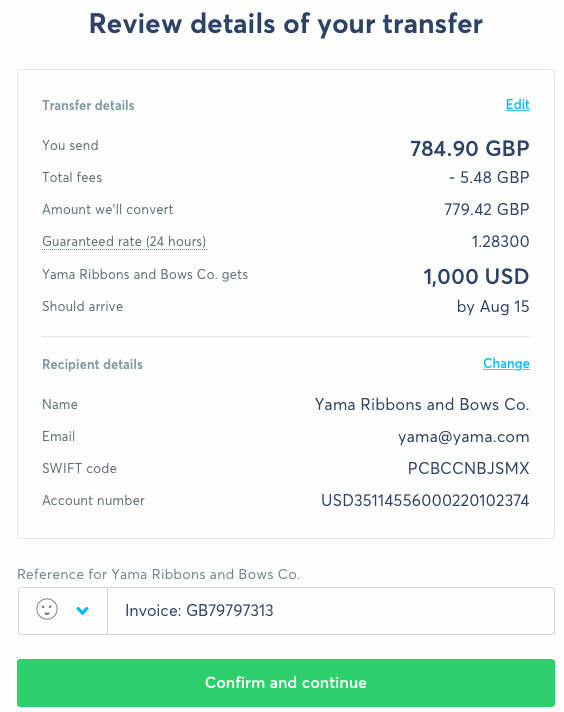 This is how you can quickly and cheaply send payments to your suppliers in China using the Transferwise Borderless account! I hope you can see how easy this is. 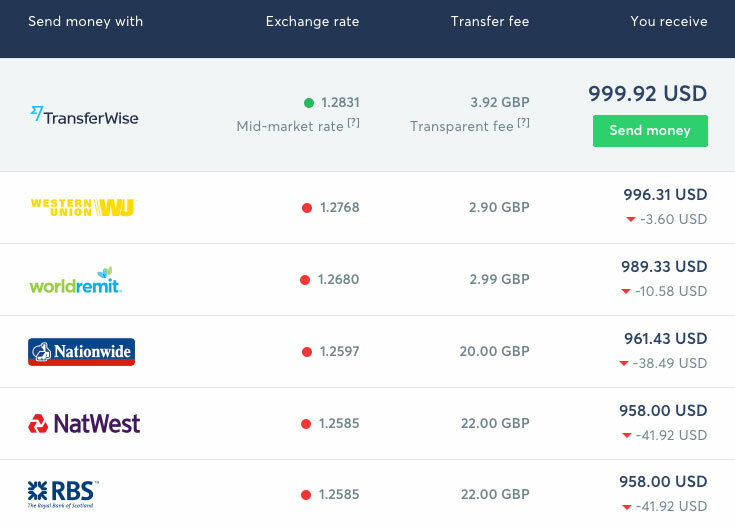 With Transferwise, there’s simply no more excuses for continuing to pay outrageous fees to high street banks! For years now, I have been using Transferwise for payments in Europe and the US, but now I will use it for all payments to Chinese suppliers too. And this new feature is actually not limited to China alone—it works for other countries, like Hong Kong, which is a popular location for many electronics suppliers. We don’t yet have support for payments to India or Pakistan, but I’m sure Transferwise is working on that too. By the way, you can already make payments to these countries in their local currencies, that’s all fine and already available. It’s just that the USD option is not yet available. Another important point I want to bring up is that Transferwise is NOT PayPal. It works just like a “normal” bank when it comes to payment safety issues. There is no way to reverse a payment via Transferwise; once the money’s gone, it’s gone for good. Just like with any other bank transfer, there are no special payment protection plans in place (like you have with PayPal, for example). So, please do not send money to bad suppliers or scammers in China (or anywhere else) via Transferwise and then blame Transferwise for that. They won’t be able to help you. They just provide you with a service to send cheap, fast international bank transfers. You should always verify your suppliers, do an inspection on them if needed, before you send any money via bank transfer. And, of course, you can also use a bank transfer to fund a trade assurance order. Transferwise can work for that situation too. And that’s it for today! 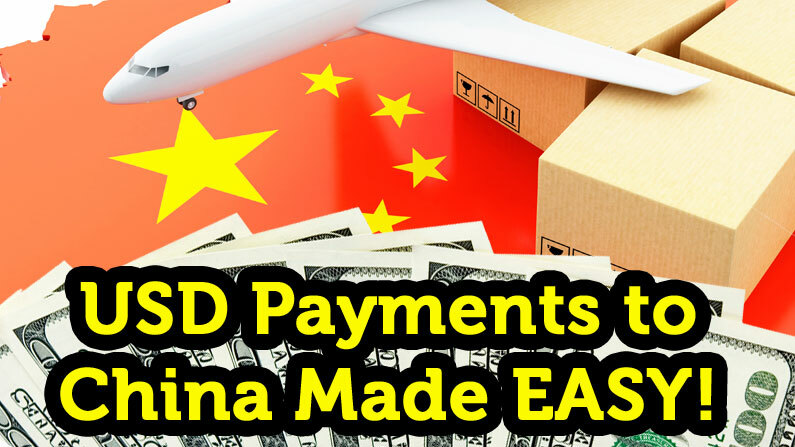 I have tried to include the most important information you need to know about making USD payments to your suppliers in China in this blog post. I really hope that this news reaches as many Amazon/eBay sellers as possible as I would hate to see them continue to pay extortionate high street banking fees when such a cheap alternative is easily available. Click here to get started right now and say goodbye to high banking fees for international money transfers! Very nice article. It convinced me to open account with TransferWise and link to my Amazon account. I am struggling with sending trade assurance payment via TransferWise though. Can you please advise how trade assurance payment can be made? I selected the option of e-Checking but it asks for Federal Tax Id which is not available in TransferWise USD account. Please advise. Why did you choose E-Checking? It’s a different form of payment…. You need to use the normal/standard wire transfer option. Ah right.. Used wire transfer option and transferred to the designated bank account and bingo. I am impressed, the money was in their account in less than a day! The only fees I paid were $3 wire fee and GBP to USD conversion. very nice! For USA buyers there is no currency exchange rate when buying from China. One time I had the USA dollars converted to Hong Kong dollars and the supplier was upset and told me not to do that. they prefer getting funds in USA dollars. I looked at transfer wise and as your article stated the fees for the money transfer are actually higher for amounts $5000 or more. I wound up just using my local wire transfer. This post is for people in the UK and Europe. TransferWise isn’t covered by (FSCS). This mean that unfortunately your money isn’t guaranteed if the company collapsed unlike a regular UK bank where we have a guarantee of funds up to 85k. This is a reason why I just use this as a 2nd business account used just to make payments to China. It would also be nice if you could link another business bank account to Transferwise so it automatically funded card payments to China from my other business account. At the moment I need to Manually top up. Regardless of this its an excellent tool. I hope they get a banking license in the future so I can run via a single business account. Yes, absolutely! By no means, I am saying that you should use Transferwise as your main business bank account. It has very limited functionality and as you say – it’s not covered by FSCS either. I use Transfewrwise ONLY for international transfers and that’s what it is great for! I don’t hold more than £10k in it at any given time, when money comes in, I “send” it to my normal bank account. Hi Andrew, I sent a transfer of $336 through TransferWise to Chinese supplier via Trade Assurance T/T, selected international transfer. TransferWise fee only £3.38 However the supplier only received $311 so $25 less, which I am presuming is transaction fee. Is there still no escaping this when paying via Trade Assurance? Appreciate your help. thank you very much for your post. It’s very helpful. I have to pay a trade assurance order on Alibaba in USD to a Chinese supplier and I would do it with TransferWise. I have a bank account in Euro. If I pay with TransferWise the amount shown on the proforma invoice received by the Chinese supplier, the recipient will get that exact amount? Can I bear all the transaction fees? including the SWIFT $2 extra cost, intermediary banks and recipient’s bank fees? Just use the invoice amount/sum in Transferwise where you enter amount of how much money recipient GETS/RECEIVES and it will be fine. In any case, thanks much for all! Love your blog! I do actually get paid by some companies as I have partnered up with them, can’t see anything wrong with that as I only promote products and services that I personally use and believe in. To pay a TradeAssurance order, would I just do it as if I was making a T/T payment via my bank? 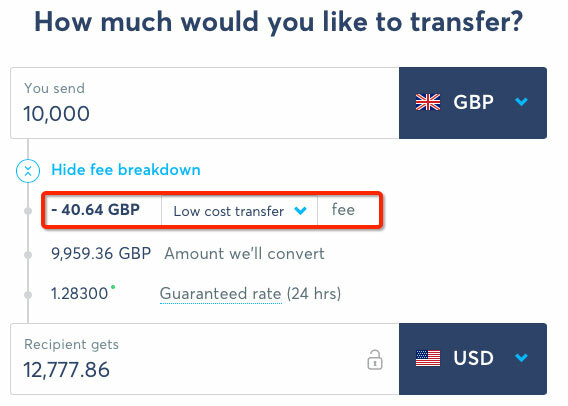 I read reddit posts in the past that suggests it wasn’t possible to do USD > USD and can’t seem to select USD > USD on the TransferWise website. Admittedly I have not yet signed up to the borderless account yet which is what I believe would allow me to do so. I’m actually in Australia, so perhaps I should just be able to go direct AUS > USD to the supplied bank details given by the TradeAssurance instructions? Or am I going about the process the wrong way? Yes, it would be a basic/normal bank transfer, like doing one via your bank. 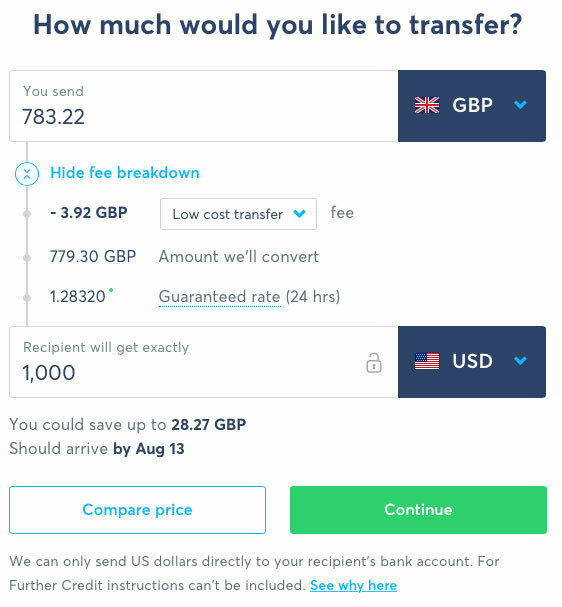 Once you sign-up for Borderless account with Transferwise, you will be able to send money in ANY currency and get market rates on the go. You don’t have to convert money prior making a payment to any specific currency as it can be exchanged right during the transfer process. Interesting post, thanks. Can Transferwise be used on Alibaba if you want to pay via Trade Assurance order? Thanks Andrew! I sent a transfer of $336 through TransferWise to Chinese supplier via Trade Assurance T/T, selected international transfer. 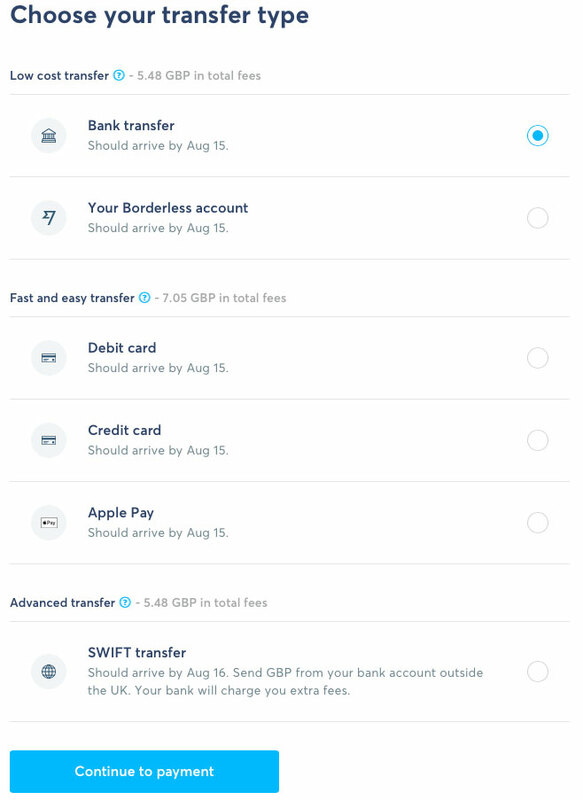 TransferWise fee only £3.38 However the supplier only received $311 so $25 less, which I am presuming is transaction fee – is there still no escaping this when paying via Trade Assurance? Appreciate your help. Wow such great info, i wish id known this 4 days ago! I could never got my head around this i always wondered why so much more was coming out of my bank account! And i just accepted it as more costs! Now i can fight back. I work at santander as well, i am going to redirect all the customers to transferwise! Lol. Thanks Andrew you are the man! Good stuff, you’re welcome Lynden! Do you have any recommendation on signing up for a Personal or Business account on Transferwise? If you’re a business (Sole Trader/Ltd. company), sign up for a Business Account. If not – personal one. You can do both too, even add multiple businesses and then easily switch between accounts in dashboard. are you aware that they stopped this service of paying CHY to china recently . now you can only pay USD . Yes, this article is about USD payments and that’s what used in 99% of transactions with Chinese suppliers. Great post Andrew, thank you. Are you able to pay suppliers in China by credit card via Transfer wise? May be a silly question, sorry if naive of me. Secondly, Currency brokers such as TorFX or HiFX do not charge a transaction fee (appreciate they make their money on their buying rate) but their exchange rates still tend to be much better than the banks. Out of curiosity, why Transfer wise over those brokers? Wishing you every continued success and thanks again. Yes, you can fund the transaction with a credit card. This way there’s additional fee to be paid. I personally haven’t used TorFX or HiFX so can’t comment on them. I like Transferwise because I trust them 100% PLUS I use them also as an online bank, with accounts for getting paid by Amazon, doing international payments. This way money stays in same place and I don’t have to move it around. I’m sure there are other platforms that offer similar service but if you check out online reviews, many of those companies won’t have level of support Transferwise provides. Thanks for yet another interesting and informative article. Am I right in thinking that you can use TransferWise to fund a trade assurance order through Alibaba? Thanks, Andrew. This will probably come at a good time for me because I may well (fingers crossed!) be in a position to purchase my first product in the next few weeks. I’ll let you know how everything goes. I recently paid £75 in bank charges for two small orders amounting to less than £1500 as the payments were made in stages, so this is really welcome!